While the term PFM is dead, the concept, employing software to watch over your finances, is more widespread than ever. It’s just called AI, spending management, or nothing at all since it’s now baked into many digital banking offerings. However, automated spending management is still not widely used by customers because the big players don’t make it available by default, except Wells Fargo’s My Spending Report. So there is still room for new companies in this arena, especially if they invoke AI in their value proposition. And it doesn’t hurt to have celebrity business connections either. Enter Clarity Money into the crowded field. But with Michael Dell’s brother Adam as founder, and $3.5 million in funding from VC heavyweights Soros Fund, Maveron Partners and Bessemer Venture Capital, the mobile PFM startup has attracted a slew of press mentions (NY Times, TechCrunch, Business Insider, Bank Innovations, and a dozen more). But the biggest help to the fledgling business came a few weeks ago when Apple nam ed it a “new app we love” that pushed the app from nowhere to #16 (USA app store, free Finance apps). Today it is number 56 (see above). 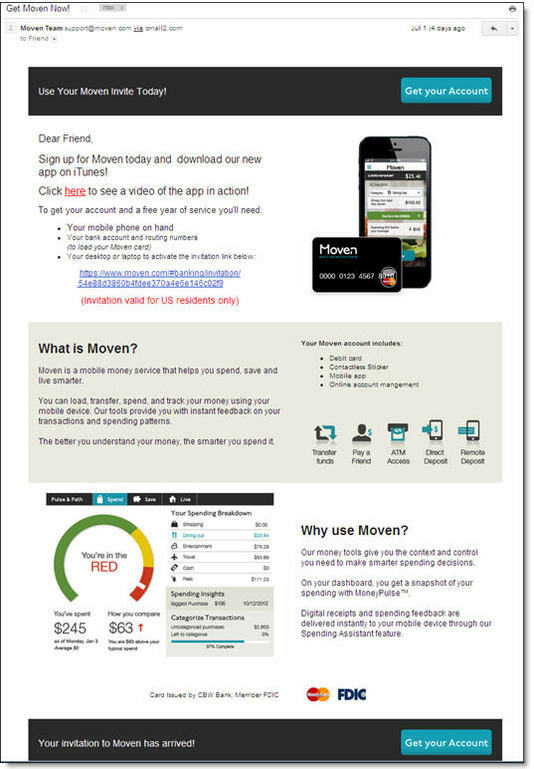 The mobile-only free service reminds us of BillGuard (acquired by Prosper) married to Moven, with a sprig of Mint on the side (see image posted to Clarity’s Instagram left). The value proposition is around monitoring transactions to save money on unneeded recurring services and/or bloated bills (in which the company takes a one-time commission on savings) while building a small nest egg in an integrated FDIC-insured savings account. Bottom line: There’s much to learn from Clarity’s marketing messages, value proposition, and mobile-first build. If you don’t offer these benefits for customers, someone else will. As a blogger/analyst/entrepreneur, it’s a mixed blessing when someone delivers on a market need you’ve been ranting about (here and here). You feel vindicated and you have a blog post that writes itself, but it knocks one thing off the top of your businesses-to-start list. So begrudgingly, I introduce you to The Guarantors, an N.Y.C.-based startup that is stepping up to meet the needs of renters trying to qualify for an apartment in New York City, and eventually other markets such as Boston, Chicago and California. I was directly involved in one such qualification excercise two months ago. The company essentially acts as your parent (if your parents could fill out reams of paperwork within 12 hours, were extremely well heeled and backed by surety bonds), stepping in to co-sign and guarantee your rental agreement. To make landlords trust the stand-in parent arrangement, the startup backstops its guarantees with insurance from The Hanover Insurance Company. If the renter does not fulfill the terms of the lease, The Guarantors, makes the landlords whole. 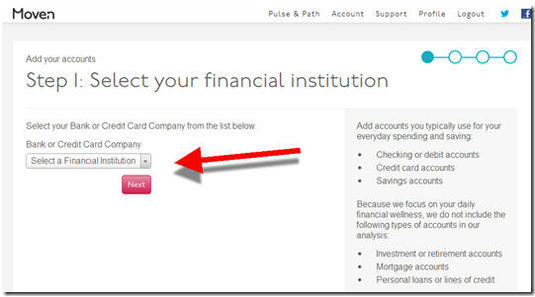 It is a brilliant idea, and perfect for financial institutions to license or build themselves. The only problem is cost. Depending on risk profiles, The Guarantor charges U.S. citizens 5% to 7% and international renters 7% to 10% of the annual rent, about 3 to 4 weeks’ rent to backstop a 12-month lease; leases up to 18 months are a higher rate). But by eliminating deposits that can equal that amount or more, it can be cash-flow-positive to the renter. Though, unlike a deposit, that money is gone for good. So it doesn’t help first-time renters without the initial cash surplus of two-month’s rent. However, a financial institution offering the service could loan the renter all or part of that. There is no cost to the landlord. The company, currently operating in NYC, is open only to renters with a 630 or higher FICO score and annual income at least 27x the rent. Alternatively, the company allows co-signers with at least 45x the monthly income, or liquid assets of 75x the monthly rent, to guarantee the guarantee. Applications are approved with 12 hours. The company launched in 2014 and spent 18 months nailing down the insurance deal with Hanover. It has taken a seed investment of an undisclosed amount from nine investors (50 Partners, Alven Capital, Arnaud Achour, Fides+Ratio, Kima Ventures, Partech Ventures, Residence Ventures, Silvertech Ventures and White Star Capital). Bottom line: Renter financing/assistance is a promising new lending/customer service for financial institutions. You not only get new customers, new loans, new checking accounts, a foothold in the millennial market, a unique service to offer employers, satisfied renters (and their parents), but also become a local hero with write-ups in every newspaper, blog, and housing forum in your market. And, with a phone call or two, you will be on the nightly TV news every fall when it’s “apartment hunting” season. Contact The Guarantors now and offer to be their first distribution partner outside New York City, or their first strategic investor. And if you are Wells Fargo, Capital One, American Express, or Chase, just buy them outright already. On 8 Oct Ron Lieber’s NY Times column Your Money discussed alternatives for consumers looking to move from major banks (thanks, Wells Fargo). He started with credit unions, touched on community banks and then finished with a major shout-out to an unlaunched fintech startup Zero Financial. New visitors willing to provide their email address (and sometimes more) are entered into the queue and informed of their numerical spot in line. In my case, I was #26,405 on Friday afternoon (shortly after the Saturday column was made available at NYTimes.com). Newly wait-listed customers are invited to move up the queue by tweeting, posting on Facebook or otherwise driving signups. I posted a message to Facebook and was immediately moved up 18,000 spots to #8,506. 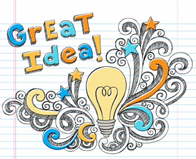 To supercharge the viral nature, prospective customers are given something of value to incent them to drive referrals. Coin famously offered $10 off the price of the hardware (which otherwise cost $50) for each referral. It worked almost too well as Coin amassed a 6-figure wait-list that grew pretty feisty as the hardware was delayed for a year. Zero’s twist is to boost the level of your cashback rewards. Everyone starts with 1% (called Quartz level), but if you tweet or post the offer on Facebook, you move to the 2% cashback level (Magnesium level). Then, if you get 3 people to sign up with your referral code, you move to the maximum 3% level (Carbon). Apparently, my posting on Facebook drove one referral, because today I’m up another 4,000 spots to #4,099 and have to get only 2 more to move up to the 3% cashback level. (Side note: The total number in the queue rose 6,600 over the weekend, to 33,023 as of 2:00 p.m. Pacific Time, Monday, 10 Oct 2016). Gaming is a great retention device: Across all demographics, consumers like to win. And it’s been proven time and time again, they’ll go out of their way to earn points or even extra chances to get points. FIs have a built-in scoring mechanism, the dollar value of accounts or transactions, so it’s pretty easy to build games with those inputs. Scarcity/exclusivity are powerful marketing tools: Although your FI is unlikely to be a startup, you could play the same game with a snazzy new account or special offer. Pay attention to Zero’s credit/debit card hybrid. Unless (until?) this type of interchange arbitrage is outlawed, look for credit-card sweepstakes-type accounts to gain popularity (read about it near the bottom of last week’s post). Note: Looking for more inspiration for your technology stack? Don’t miss our third annual FinDEVr Silicon Valley next week (18/19 Oct 2016). Product Hunt is the newest website catering to tech enthusiasts. Each day 40 to 50 new products or new product features are featured on the site. Anyone who has registered is allowed to upvote any of the submissions and a continually updated leaderboard surfaces the hottest products of the day. Then at midnight, the whole thing resets, and 40 to 50 more products get their 24 hours of fame. I’ve been following it for a few months and have seen that while only two or three fintech entries appear each week, they tend to be popular (which could be a function of their scarcity). But rarely, if ever, do they climb to the top. And this week, not one, but two companies have dominated their day on Product Hunt. On Tuesday, the Plastc Card (yes, spell check, no “i”) garnered 545 votes, almost 200 more than runner-up Student Developer Pack. Plastc is similar to Coin, a computerized credit card that can hold multiple mag-stripe cards in a single piece of plastic, planning to ship to pre-order backers in the first half of 2015. Plastc holds more cards, has an e-Ink display, and at $169, costs more than three times the pre-order price of Coin. On Wednesday, fintech ruled Product Hunt again, with new security-minded credit card Final gaining more than 900 upvotes, 600 more than the next-closest newcomer, Clearbit. I believe it’s the record for a financial product, eclipsing Plastc’s from the day before. Final is a standard mag-stripe (and chip) credit card with a companion mobile app and desktop dashboard. The card is upping the security ante by incorporating easy-to-use disposable (aka temporary) card numbers for ecommerce (card not present). It allows users to designate a unique number for every online merchant, that way it’s easy to shut that merchant off, if you don’t want them to be able to charge your card again. 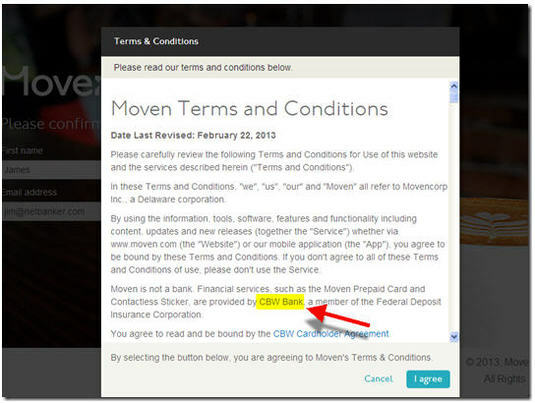 Users can also set transaction limits by merchants to make sure there are no overcharges. Final also plans to offer advanced controls for brick and mortar purchases. Purchases could be allowed at only certain merchant categories, for example. And Final’s card will be able to be tethered to your smartphone allowing chip-and-pin purchases only when the two are in close proximity to each other. 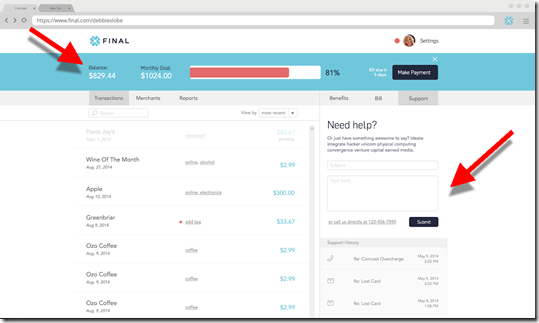 The card-management app features PFM features not unlike what Moven and Simple offer today. But there is more emphasis on fraud controls and ridding yourself of “gray charges” ala BillGuard (see inset). 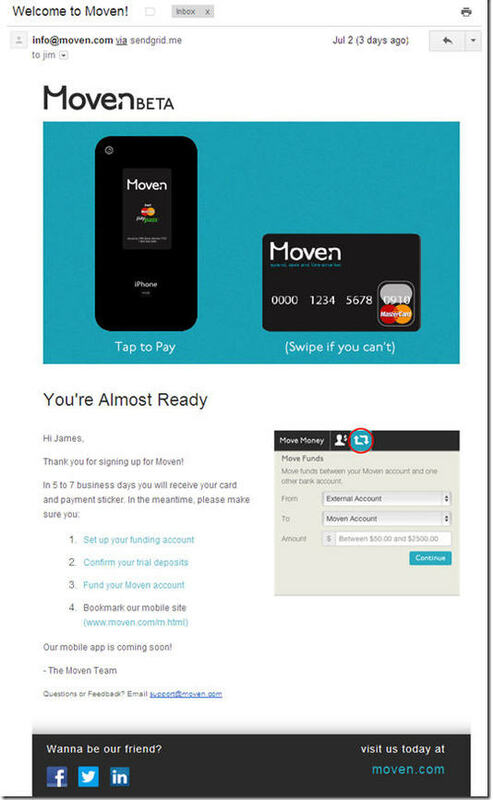 In fact, the best way to think of Final is a credit card version of a Moven/BillGuard mashup. It is to credit cards what Simple was to checking accounts. 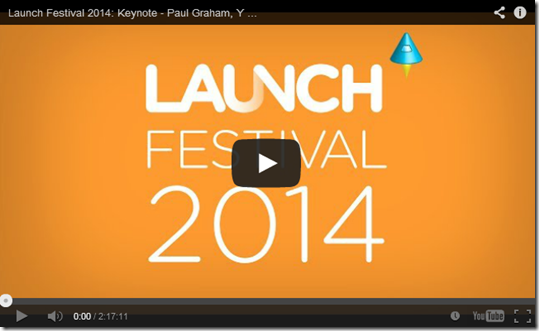 A winning combination of good design, consumer advocacy and a bit of tech flair. The startup is still looking for a credit card issuer-partner (attention Capital One, this could be your 360 credit card), so pricing is not available. However, CEO Matt Rothstein told me yesterday that they plan to make the card fee-free. In fact, they are looking at the business as much more than just a security play. 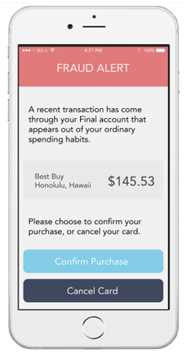 They are focused on consumer advocacy and helping consumers reign in their spending (see first screenshot). Final is part of the current batch at TechStars Boulder and is pitching at its Demo Day today. The company has 2,200 people on its waitlist (Update: As of noon Pacific on 10 Oct 2014, the number has jumped to more than 21,000). Not a bad first-24-hours out of stealth. There is clearly consumer demand for more card controls, to avoid outright fraud, fight merchant overcharges and reign in overspending. Most of the newcomers that have gone down this path have used prepaid debit cards and/or account aggregation. We haven’t seen an ambitious startup credit card play since well before the 2008 meltdown. Final will benefit from substantially higher interchange (albeit shared with its partner), but will also have to deal with rejecting the credit applications from a significant portion of its waitlist. That will not be easy to explain to the early adopter crowd, who will likely take their case to social media (note 1). But overall, I’m a big fan of what they are trying to do, and expect to be following Final for a long time, unless they get swooped up by a large issuer right out of the gate. A.) Current balance and monthly goal dominate top of page. 1. I’d advise having a prepaid card backup to mitigate the rejected applicant backlash. Ever since the financial debacle of 2008, it’s been harder for consumers to establish their first credit account. Therefore, with no credit history or score, it becomes even harder to get credit. That’s created a Catch-22 around new credit that Denver-based startup Self Lender looks to address. 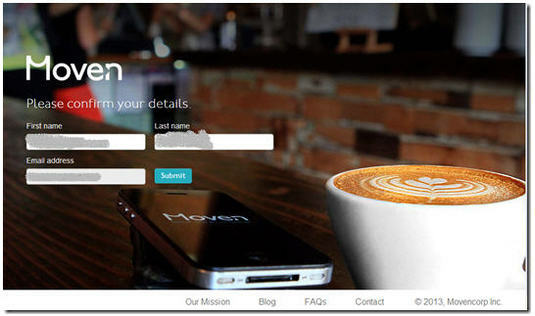 The company launched today at TechCrunch Disrupt (see full presentation here, at bottom of post). 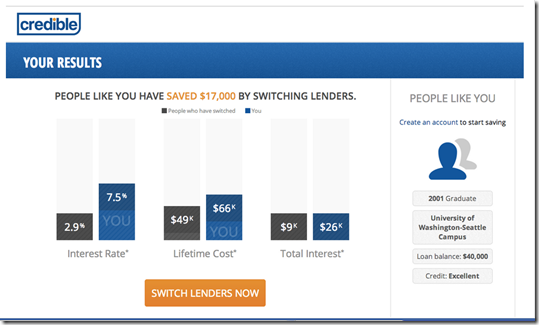 Self Lender has a fairly straightforward value proposition. Agree to transfer a certain amount of money to yourself for a set period of time via the Self Lender platform. Self Lender reports the payments to credit bureaus as a secured loan. At the end of the contract period, between 3 and 12 months, the user gets their money back (without interest) or can use the funds as a down payment on a vehicle or other item with the balance financed by Self Lender lending partners (see screenshot below). The funds are held in an FDIC-insured account. Users can make their monthly transfers via ACH, debit card, paper check/money orders, or via cash through PayNearMe’s network. The startup also will accept bitcoin payments, an interesting side note that wasn’t mentioned during their demo. Self Lender will make a few dollars on interest and lead-gen commissions, but its primary business model revolves around charging $3 per month for the service. Thoughts: Many banks and credit unions offer products with similar benefits. According to CUNA (note 1), 15% of U.S. credit unions offer “credit builder loans.” Banks and credit unions also offer CD/saving secured loans. But those deposit-secured loans generally require a good sum of cash to get started. For example, Wells Fargo has a $3,000 minimum deposit and $75 origination fee. Self Lender lets you get started with just $25. So, the concept is good. But I think it will be difficult for the company to get consumers to entrust them directly, so distribution through FI or PFM partners is crucial. To that end, during the Q&A session, Self Lender said it was hoping to ink deals with one or more major banks in the near future. So far, the U.S. real estate industry has maintained its 6% standard commission despite mass adoption of the Internet for researching available properties. And the run-up in housing prices in many areas has made real-dollar commissions much larger than they were in 1995. Certainly Redfin and others rebating commissions on the buyer’s side have made inroads. But if the seller’s agent is still taking 3% the total commission remains stubbornly high. Enter Allre.com, a San Diego-based startup that debuted at TechCrunch Disrupt today (demo video). 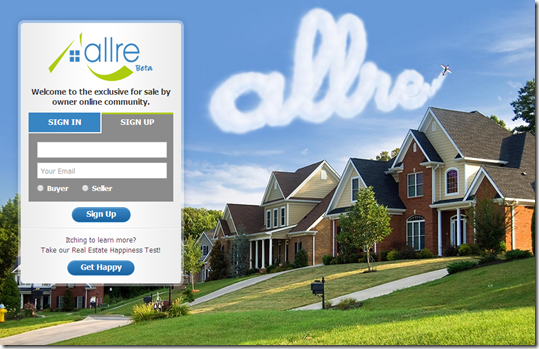 Taking a page from Zenefits model (free payroll services if you buy your healthcare through them), Allre will do the real estate transaction for free. That would save the average California seller $24,000 in commissions. The catch? 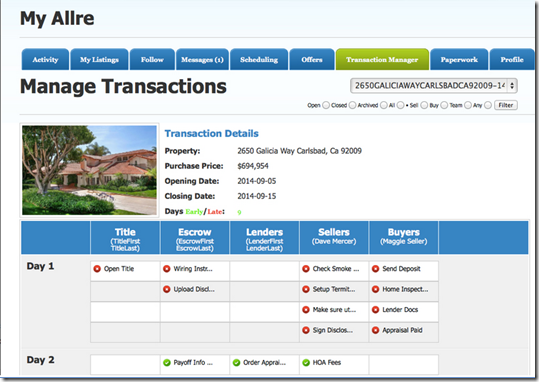 Buyers use the Allre platform to buy their title insurance, homeowner’s insurance, mortgage and other closing services. Allre is able to book these ancillary commissions because as a free service it does not come under RESPA regulations forbidding such arrangements. Allre said it will work with multiple vendors in each category; however, for now its exclusive mortgage provider in its first market is Prime Lending. Real estate is a business with huge network effects, which is why the various MLS services around the country continue to maintain a tight grip on real estate marketing, and commissions. So the challenge for Allre, or anyone who wants to take on the local commissioned base, is to get a large cross-section of homes listed on its site. The company has some ideas on how to do that (see the Q&A session that follows the TC demo, specifically, the question at the 7:06 mark), but no one has really cracked that nut yet. Relevance for Netbankers: Home ownership, and the financial services surrounding it, is an area that holds significant profit potential for banks and credit unions. Working with Allre or other real estate disrupters could be an effective way to find new mortgage (and banking) customers. 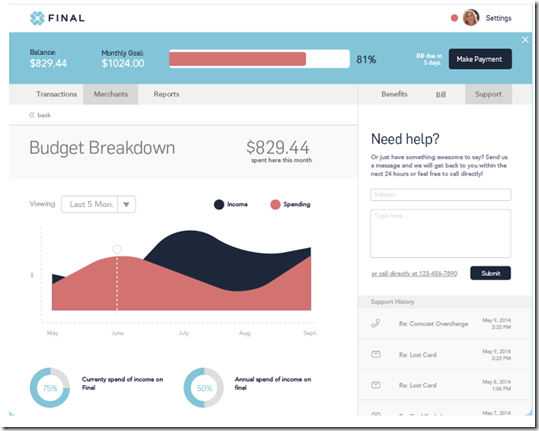 On Monday, Credible debuted its student loan refi platform at Jason Calacanis’s Launch Festival (see demo below). The demo was a judge favorite, with three of the five judges naming it their favorite among the eight demos in that session. And the company ended up taking home the trophy (and optional investment) as the best established company demo. The overall winner was Connect, an address book that maps your contacts from social networks. 3. What was the last school you graduated from? At the end of that 60-second quiz, as soon as the email is entered, Credible displays the potential savings from a student loan refi. 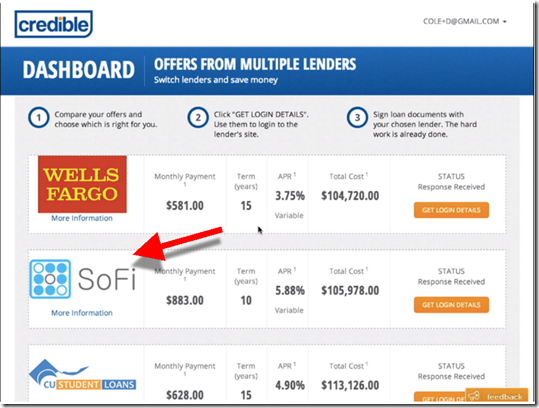 Interested borrowers select the Switch Lenders Now button, download their actual loan info through account aggregation technology (the demo showed Intuit powering an account scrape of Sallie Mae), complete a short loan, and upload a scan of their drivers license and last pay stub. That info is sent off to student lenders who make actual credit offers to the user within two to three days (see screenshot #2). As proven by the success of Sofi ($400 million funded) and the buzz around Finovate alum Tuition.io, the student loan market is ripe for new thinking (I won’t say disruption, because debt consolidation is hardly a new concept). That said, existing financial institutions can play in this game, and win if they want to. We believe customers would be more likely to refi if it was delivered by their primary financial institution within the secure online (or mobile) environment. And the great thing about saving your up-and-coming customers a few grand each year is that they are hardly going to jump ship to save $5 per month on a checking account. Crowdsourced home values: Everyone who owns a home wonders how much it’s worth. But unless you have a real estate agent in the family (and even then, they are probably biased to the high side), it’s a time-consuming and not-so-exact science to get a professional appraisal. Enter Redfin’s “home price whisperer” service. Participants simply submit their house address and target price, and the company will have 250 others users give the valuation a thumbs up or thumbs down. While it won’t put realtors out of business, it’s a great way to get a quick handle on where you stand on what can be a key part of your financial security. 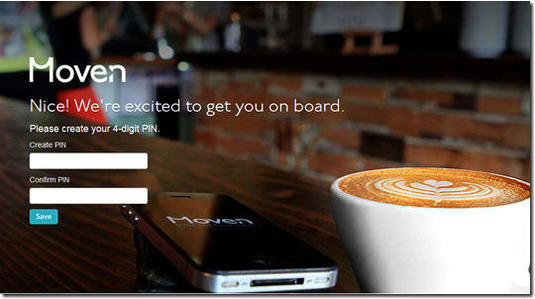 (Another new startup, Trov, just landed $6.8 mil to help value less liquid assets). Scam-protection geared to the elderly: Ever since Y-Combinator (YC) spawned a pair of billion-dollar companies during the Great Recession (AirBnB, Dropbox), I’ve been watching closely to see what its graduates will offer up to the financial services world. 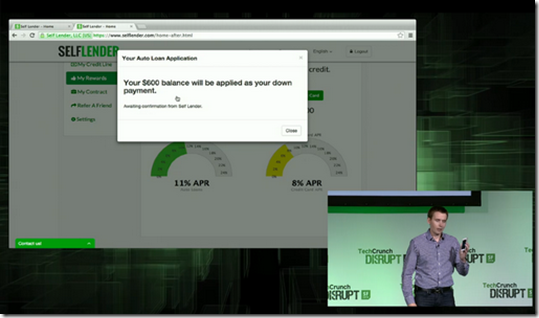 At FinovateSpring last May, we saw 2012 YC graduate LendUp (watch its Finovate demo here) wow the audience (and win Best of Show) with its service to lift consumers out of the payday lending cycle into less-expensive bank credit products. 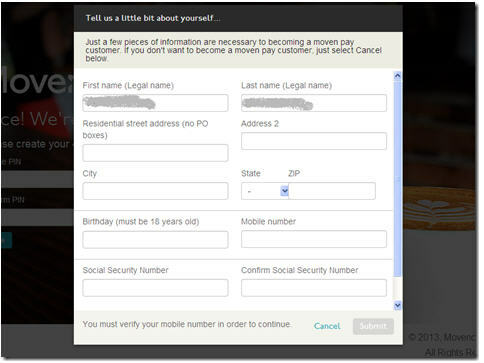 In a similar vein, 2013 YC graduate True Link Financial just announced a service to protect consumers, especially the elderly, from getting scammed by misleading or downright fraudulent charitable solicitations and other gray charges (it’s like BillGuard, but trying to block the questionable charges first, rather than dispute later). It’s basically a $20/yr prepaid card with customizable spending controls. So, it looks like we have officially moved into the second half of the year and all the fintech excitement that will bring. I’d be remiss if I didn’t put in a plug for the upcoming FinovateFall, where we’ll have 72 demos (full list here) offering up a plethora of new ideas. The early-bird deadline is Aug 2. So register now and save. 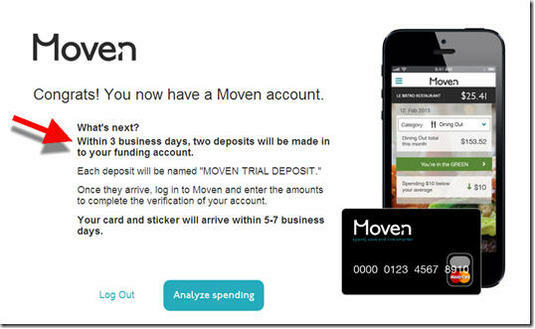 I finally received a Moven (bank) invite, first forwarded from a reader (thanks, Michael), then a few days later directly from the company (see screenshot #1). Yesterday, I went through the drop-dead simple application process (see screenshots 2-8) and as soon as my card arrives, I’ll start putting transactions into the system. After clicking through the invite (screenshot #1), I arrived on a personalized landing-page (ss #2) with simple instructions on what was required for signup. 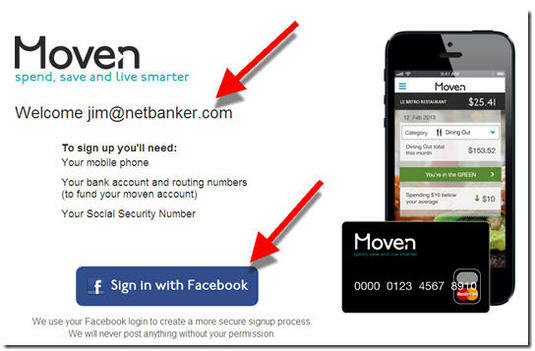 It also has Facebook integration (I was already registered with the Moven site, so it didn’t apply to me). Key information is collected against a striking backdrop of a great-looking cappuccino (ss #3, #5). As seen in the account disclosures (ss #4), the issuing bank is CBW, the same one working with Simple. 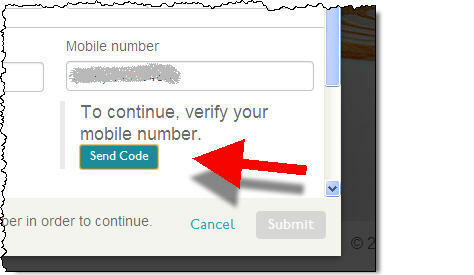 The applicant’s mobile number is verified prior to completing the app (ss #7). Account funding is not handled during the initial app; instead, the company asks for bank account info and then sends trial deposits to authenticate the user (ss #8). 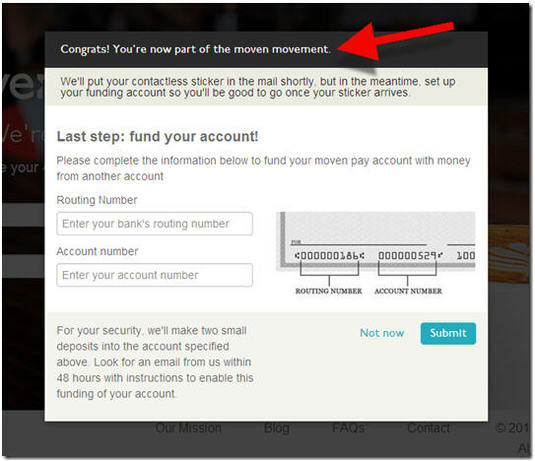 This step can be skipped, but it’s the only way to get money into the account, so it has to be completed eventually. The application concludes with a clear thank-you that also outlines the next steps (ss #10). Finally, something I’ve not seen before. The startup invites new customers to start managing their spending right away using its Geezeo-powered PFM module (lower-right on ss #10). Bottom line: Going in, my expectations were high. And Moven still exceeded them. This was a near-perfect signup process as far as I was concerned. The only flaw was the slightly confusing Facebook authorization process. After clicking the Facebook button on the bottom of the first page (ss #2), I expected to see Facebook talking to me about what I wanted to share with Moven. But instead, I proceeded directly to the next page of Moven’s app with no mention of Facebook. I assume this happened because I’d already authorized Moven to access my Facebook account months ago when I registered at the site. But overall…impressive. 2. For more info on other Truly Virtual Banks, see our Oct 2011 Online Banking Report (subscription). For more on advanced PFM features, see Online Banking Report: PFM 4.0 (June 2012; subscription). When Prosper launched seven years ago, much of it’s initial promise revolved around the notion that people would be more likely to repay loans made by their peers. To create peer pressure, borrowers were encouraged to join loosely affiliated "groups" (see note 1). Over time, groups with good repayment performance would be rewarded with lower borrowing costs. It was brilliant on paper, but early repayment behavior didn’t follow the model. Had there been more runway (funding and/or regulatory tolerance), it might have worked. But the wicked combination of adverse selection (many initial borrowers were financially desperate and/or quasi-fraudulent, despite all the heart-warming stories posted) and the Great Recession pushed Prosper, and it’s contemporary, Lending Club, into more standard unsecured lending procedures. And it seems to be working. The two are on track to do more than $2 billion this year, with revenues of $100 million or more (Note: 85% of current volume is from Lending Club, see latest numbers here). Fast-forward five years: With the ubiquity of Facebook, it makes sense for newcomers to test the waters of the original Prosper/Lending Club hypothesis (note 2). That friends can lend to friends (F2F) at a far lower cost. And that a third-party platform is needed to facilitate lending relationships, which can become tense if borrowers fall behind or default on their obligations. Puddle (formerly Puddle.io) is a new startup from Kiva CEO & Co-founder Matt Flannery and early Kiva developer Skylar Woodward along with Jean Claude Rodriguez. It uses Facebook bonds to create pools of money that friend groups can share amongst themselves. With suggested interest rates in the 4% range, it’s a win-win, assuming the money is repaid. Borrowers save 10% or more from credit card rates and lenders get a return much higher than bank savings accounts. 3. Start a new "puddle" by setting the rate from 0% to 20% (current average is 4.7%, see inset) and the maximum leverage rate (you can only borrow a multiple of what you put into the pool, the allowable range is 2:1 to 10:1 with the recommended rate of 8:1). 5. Borrow from the pool (if that is your intent). Currently, loan sizes range from $300 to $3,000 with repayment on an installment schedule spread over a maximum of 12 months (current average outstanding is $320 across 50 borrowers). You can only borrow a max of 40% of the entire pool. 7. As funds are repaid, they become available to other members of the pool to borrow. 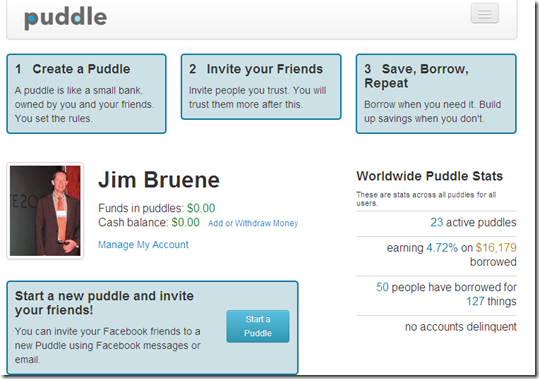 Like Prosper/Lending Club in 2006/2007, the Puddle model sounds great in theory. 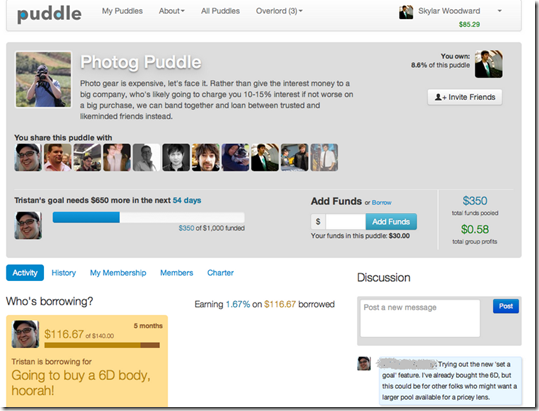 But should friends be encouraged to lend to their friends online? I can see this ending badly, with unfortunate borrowers losing more than just the $1,000 they took out of the pool. With a public default to your (ex)friends, will a bad situation just get worse? But given the founders experience at online microfinance leader Kiva, which has spread $440 million around the globe from nearly 1 million lenders, they fully understand the pitfalls. They also know that affordable credit can change lives. Bottom line: I think it’s a great experiment (and it is an experiment, the founders admit to not knowing how they will monetize or how regulators will react). But I’m not sure it scales without more financial controls (underwriting, collections, income verification) at which point it becomes nuch like Lending Club in 2007 (though not a bad outcome…given the P2P pioneer’s recent $1.6 billion VC valuation). I’d like to see financial institutions (or accredited investors) stepping in to backstop the loans (perhaps keeping the default confidential). For example, for a 4% to 5% annual fee, investors would agree to reimburse the pool for 80% to 90% of losses from any defaulting borrower. The fee would vary depending on the credit profile of borrowers in the pool. While borrowing costs would be significantly higher, down-on-their-luck borrowers would be less likely to lose their friends just when they needed them most. Note: The great definition in box 1, "A puddle is like a small bank owned by you and your friends. You set the rules." 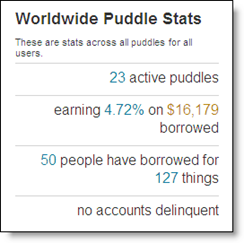 "groups" see our March 2006 report on P2P lending (subscription). 2. Lending Club initially launched as a Facebook-only p2p lending service (our original 25 May 2007 post). 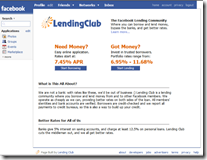 The original Lending Club Facebook page is shown at right (click on inset). 3. For the latest on crowdfunding, see our latest Online Banking Report on Crowdfunding (subscription).